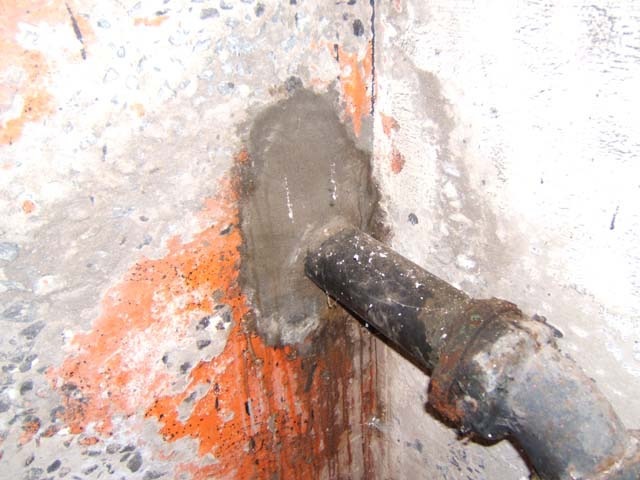 Inlet pipes are any type of pipe that enters the foundation wall from the outside. Common inlet pipes, like the main water inlet pipe coming in from the city (or municipality) or the Hydro inlet pipe, are typically the ones that may leak. Usually, these pipes are sealed from the outside with a membrane or even a simple caulking and after time the material gives way and they start to leak. 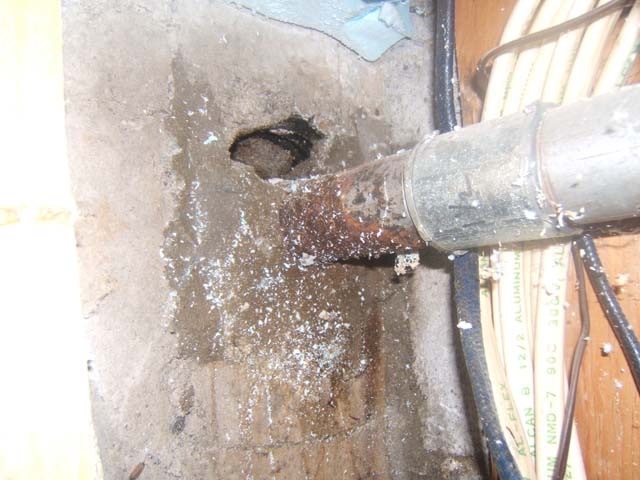 Older homes are not the only recipient of inlet pipe problems. We see it in newer homes as well. Often we see contractors have drilled a hole in a wall to install a new hydro panel or for an oil tank on newly built homes (or custom homes). If those holes are not sealed properly, you may find water entering through them. It is not a difficult job, depending on the material that was used to seal the inlet pipe in the first place. Almost always we will inject polyurethane from the inside, which will completely seal the space between the inlet pipe and the foundation wall.